Recent studies have suggested that there are more then 15,000 fish per mile…that is a whole lotta fish! Located in the northwest corner of New Mexico, the San Juan River below Navajo Dam is world renowned for providing some of the most steady action year round. With 15,000 fish per mile how couldn’t it? The San Juan is a consistent producer of both rainbows and browns averaging 16 to 18 inches, with many reaching much larger proportions. The San Juan River is a significant tributary of the Colorado River in the southwestern United States, about 383 miles (616 km) long. The river drains an area of about 24,600 square miles (64,000 km2) in southwestern Colorado, northwestern New Mexico, southeastern Utah, and a small part of northeastern Arizona. The average flow of the San Juan River at Bluff is about 2,200 cubic feet per second (62 m3/s) and the highest discharge ever measured was about 70,000 cubic feet per second (2,000 m3/s) on September 10, 1927. The San Juan River joins the Colorado River at Lake Powell, a huge reservoir, and in fact the westmost (and lowest) miles of the San Juan River are impounded by Lake Powell and the Glen Canyon Dam. Most of the San Juan River lies in San Juan County, New Mexico and San Juan County, Utah, which share a boundary of one point at the Four Corners. The San Juan River lies just a few miles northeast of the Four Corners point. When fishing the San Juan, we recommend staying in Navajo Dam, NM at either Fisheads San Juan River Lodge or the Quality Waters Inn. Both have newly remodeled rooms equipped with Microwave, Refrigerator, Free WI-FI, Flat Screen TV’s and Direct TV. Fisheads Lodge (view map) is located onsite at the Fisheads Lodge and the Quality Waters Inn (view map) is located on the San Juan River about 1/2 mile from Fisheads Lodge. Rates begin at $94 for a Two Bedroom. Call Fishheads San Juan River Lodge at 505-634-0463 for reservations. Clothing: The weather in Navajo Dam, NM is quite a bit more mild than what we experience in CO. Even so, plan accordingly with a layering system that will keep you comfortable and fishing longer in any weather scenario. Rod/Reel: The san juan is typical 5-6wt water. Also, if you have picked up a switch rod or full 2 hander in the last couple years, BRING IT! 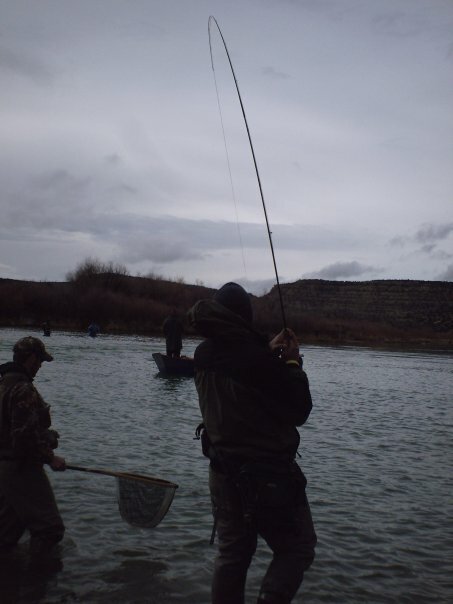 The San Juan river is made for swinging flies. With 15,000 fish/mile, hook ups are pretty frequent! An 11′ 5-6wt switch rod is perfect! Leaders/Tippet/Accessories: The San Juan is often made out to be a technical tailwater. If you can catch trout on Colorado Tailwaters, I venture to say catching fish on the San Juan will be a piece of cake! Some will recommend 6x tippet, and while I agree this is sometimes necessary on the surface, I never nymph with anything lighter than 5x on the Juan. Have a variety of split shot with you, and 9ft 4x-6x leaders. Flies: Fist remember, “If you ain’t got RED you’re DEAD!” Former San Juan River guide Frank Smethurst’s is now a commercial tier for Montana Fly Company. His Bomb series midges and other of his smaller midge patterns are amongst our favorites in size 18-22. Another favorite midge is the#18-22 Red/Black Jujubee Midge tied by Charlie Craven. Red Tube steak Annelids in size 16-22 also need to find their way into your box along with some Palomino Midges(red) in similar sizes. Lead/point/attractor/flies should include flossy worms, micro San Juans, egg patterns & LEECHES! When you think of the San Juan, leeches aren’t the first thing to come to mind but you will need them! We like the PSL’s in rusty or black along with HH leaches. Both are great on the swing behind a black or olive gummy bugger! 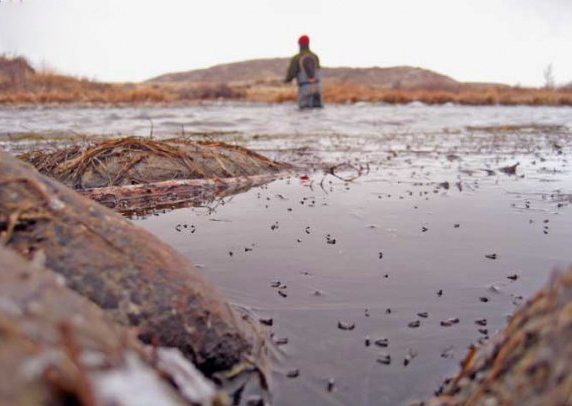 DRY FLIES: You can find pods of fish rising to clusters of midges 365 days a year! Griffith’s Knat’s in size 16-22 will work well. This fly is eaten not as an individual midge, but a s a midge cluster. Other dries to bring include #20-24 black Sprout Midges, Morgan’s Para Midge, Umpqua’s Adult Midge & parachute Adams. TROUTBEADS: Trout who call the San Juan River home are just recently starting to learn about troutbeads. That being said, the bead is borderline cheating on the San Juan. 6mm beads in gloe row will bend the rod all day long 365 days a year. For stinger hooks, we recommend tying a red annelid onto a #14-16 2499 SPBL hook. The San Juan River is great for floating and Wading. Same tactics will apply either way. If you don’t have a boat, you aren’t leaving any fish behind by wading. Nymphing is the name of the game. The upper flats and braids section is great sight fishing water, while prime spots down stream can be blind fished very effectively. After you’ve caught 20-30 fish, challenge yourself and throw some dry flies! When Fishing dries, a good drift is necessary, with small midge patterns. Look for actively feeding fish and time their rise. Sometimes you will see fish with their entire head out of the water filter feeding across the surface. For these fish, if you can get the fly in front of the fish they will eat almost 100% of the time. For streamers, nothing beats the swing on the San Juan. Cast down and mend, use a sink tip & a leech or gummy bugger and hold on tight. Boat Ramps are found throughout the San Juan. A lot of people will concentrate most their efforts on the upper 3 mile “quality waters” by putting in at Texas Hole and Floating to Crusher. Their are several other ramps on the lower river as well.